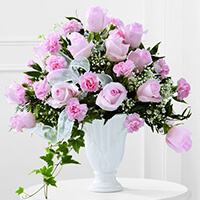 "Granny will be missed so much by so many. She had smiles and love for everyone. love, prayers and sympathy to My Family. " "Thank you Granny for all the things you helped me learn to do. I'll never forget learning to play Little Black Mustache on your electric..."
Goldie Estella (Cowger) Moats, 101, of Sutton, WV passed away, September 25, 2018, at the Clay Health Care Center, Clay, WV. She was born in Webster County, WV on March 31, 1917 to the late David Cowger and Leonora (Bickel) Cowger. Also proceeding her in death was her husband, James Author Moats whom she married in 1935 and who passed in 1959. Also preceding her in death was son, Arnie Paul Olen Moats, daughter, Sylvia Moats, Canton, OH, 3 younger brothers and one sister. 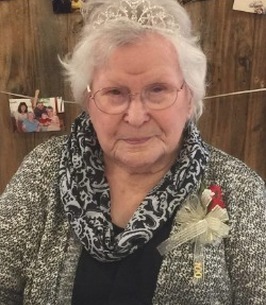 She is survived by sons, Earl Moats, Cleveland, OH, James (Anita) Moats, Thomasville, NC and Gary Moats and Barbara Westfall, Sutton, WV; daughters, Gene Bright, Sutton, WV, Louise Snyder, Wadsworth, OH, Sue (Richard) King, Morgantown, WV; daughter-in-law, Bonnie Moats, Sutton, WV and 19 grandchildren, numerous great and great great grandchildren. Goldie was a homemaker and loved nothing more than a big family that she could can and cook for. She was a Methodist by faith and spent many hours making quilts and crocheting for her family and friends. She will be greatly missed by all who knew her. 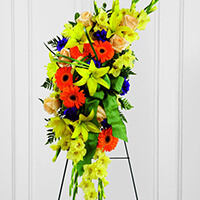 The Stockert-Paletti Funeral Home will be caring for the Moats Family. 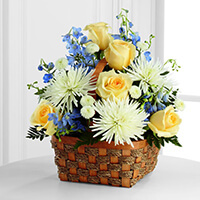 To send flowers to the family of Goldie Estella (Cowger) Moats, please visit our Heartfelt Sympathies Store. She was such a loving and beautiful lady. Met her at the nursing home and shared many memories with her and my loved one. She was always a ray of sunshine and helped her any way that made her day easier. Granny will be missed so much by so many. She had smiles and love for everyone. love, prayers and sympathy to My Family. A butterfly lights beside us, and for a moment its beauty belongs to our world. Then it flies on again. Though we wish it could have stayed, we feel so lucky to have loved it. Our thoughts and prayers to the entire family during this time. We never met Goldie Moats but I have the privilege of having Louise Snyder as my step mom. Louise is a woman who is loving, devoted, fun and a true example of a Godly woman. Knowing Louise makes me certain that her mom must have been an incredible woman and raised such a beautiful family. You will be missed. We are so sorry to hear about Goldie's passing. We only met her once, but we liked her right off. She is in a good place now. GOD BLESS YOU ALL. We are so very sorry to hear of the passing of Goldie. We met her one time years ago when we attended Scottie Cowger's funeral. We pray for God's Great Comfort to be upon you during this very difficult time and through the upcoming days, months and years. 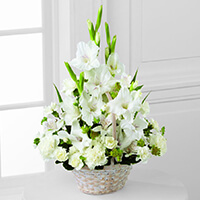 Dear Louise and Family, Our prayers are with you as you celebrate the life of your mother, grandmother, great-grandmother. May her beautiful memory live within you forever.